With one successful Bison under her belt, Jessica Sanderson-Barry of JShine Designs is back! 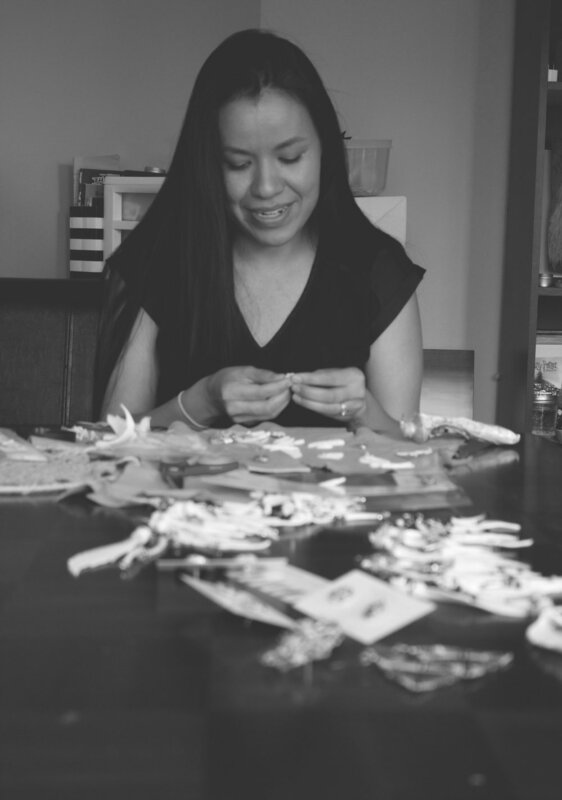 An Indigenous-owned company, JShine Designs focuses on beaded handmade jewelry and accessories. 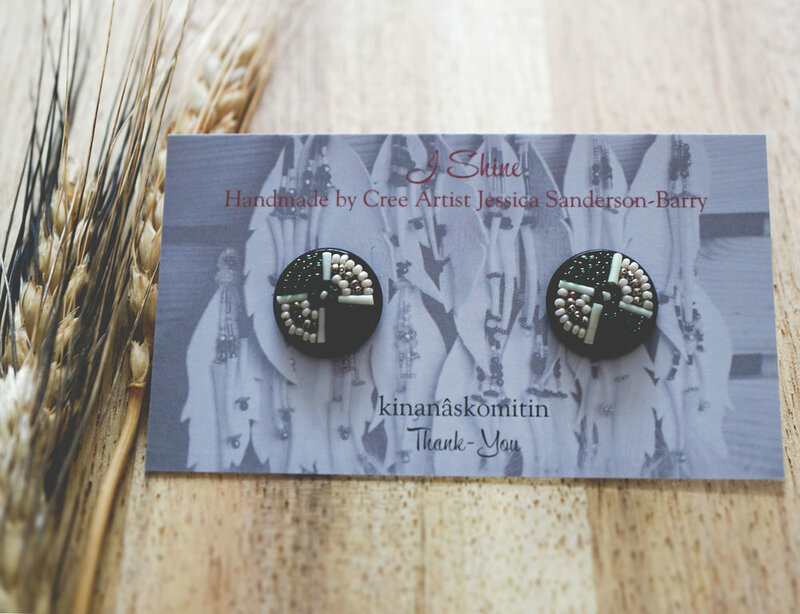 Jessica combines both traditional and contemporary beading styles into each piece by using elements from the land. Catch her at the Bison from December 7-9, follow her on Instagram (@JShineDesigns) to view more of her work and read on to discover what inspires her! ﻿Royal Bison: What draws you to making or designing things? JShine Designs: a nêhiyaw-iskwêw ~ Cree woman, my culture was always important to me and to have the opportunity to share my culture through my art is something that I have always had a passion for. Beading is my medicine, when I bead it feels as though it’s a connection to my late grandmothers. 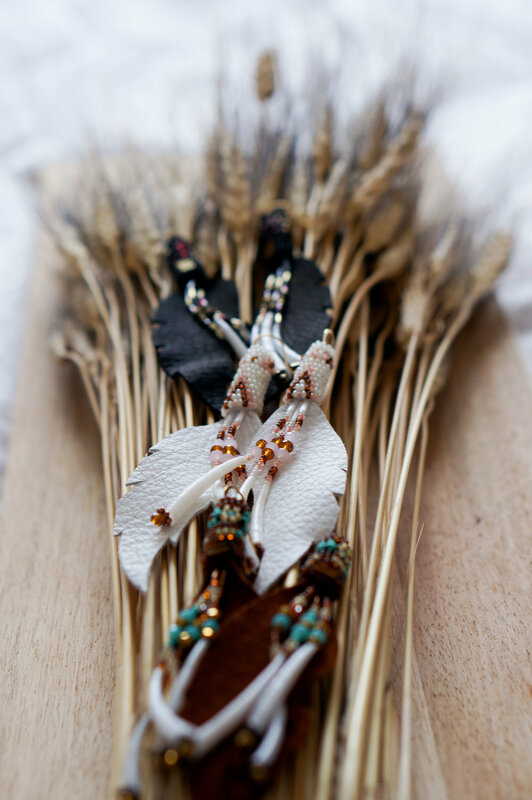 JSD: I have a passion for designing statement pieces using elements from the land, such as hides, dentalium shells, and porcupine quills. I am now incorporating antique and vintage beads in my work, some are over 100 years old! Those who wear some of my art will be wearing a piece of history. JSD: I wanted my work to be unique and apart from what other designers were creating. I love using antique and vintage beads in my work because each bead has a story. 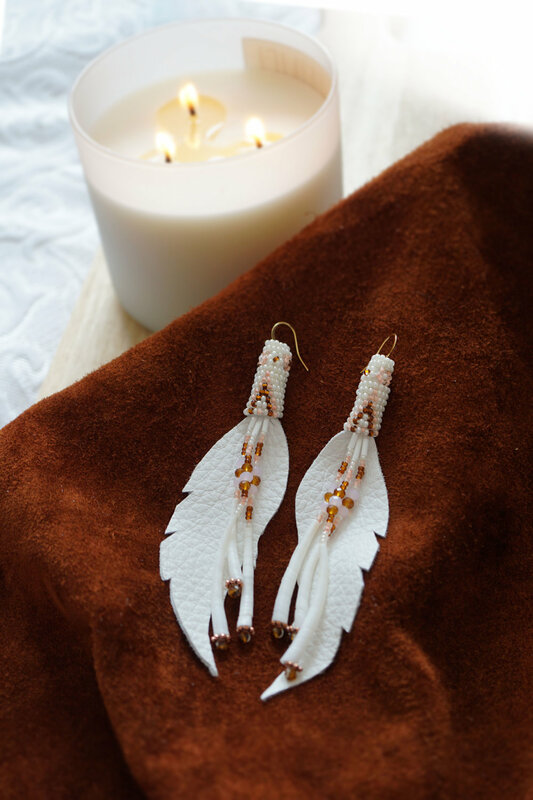 Beadwork is storytelling and to be able to transcend these stories into my work by using many different elements makes each piece unique. JSD: My first Royal Bison market, I immediately felt I was apart of this amazing community by meeting some many great supporters who believe in handmade local art. Kudos to those who support local businesses you’re theee best!!! JSD: I admire strong Indigenous artists like my late great-grandmother Jenny Lightning who was a phenomenal beader and designer. I also love the work from Smithstine Copper because she creates her jewellery from nothing and it’s transformed into a unique piece of wearable art. JSD: We like to give back to the community by donating time serving a holiday dinner to people in need. This is what fills my heart.